Across the country vintage base ball teams (yes, base ball, not baseball) play using the rules, terms, customs, and uniforms that players used in 1864. 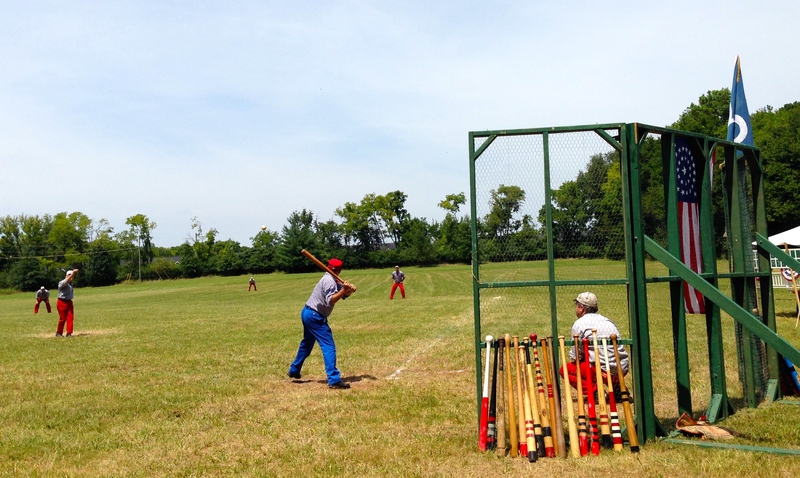 Little did I know, Nashville is home to its very own vintage base ball league. So, much to my surprise, somehow baseball (however you want to spell it) now makes its third appearance on this blog after chronicling my first MLB game and my first time hitting a baseball. 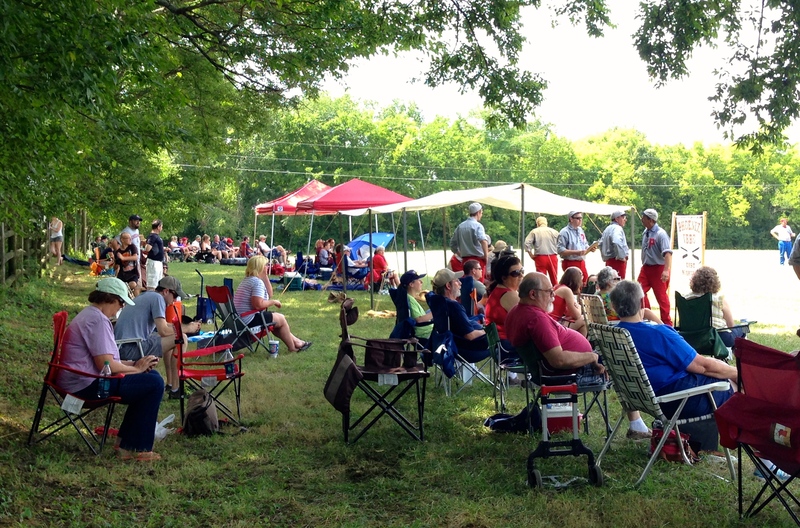 The game was between the Phoenix of East Nashville and the Lightfoot Club of Chattanooga. We showed up a few minutes after it began and the festivities were in full swing. People were walking around in period costumes, the fans were lined up behind the home team, music was playing, and, most importantly, there was a guy there selling popcorn and snow cones. Ok, the snow cones were not historically accurate, but they were delicious. The rules and atmosphere were different too. Instead of the manicured lawn of the iconic fields we have today, the games were played in yard or cleared farm land. The match (not game) we watched was at the Sam Davis home, a plantation south of Nashville. The differences in the rules made it more of an every-man’s game. For example, in modern baseball a ball, has to be caught before it hits the ground in order for the batter to be out. However, under the 1864 rules, it may bounce once. This apparently was due to the fact that there were no gloves in use until 1870. Additionally, there were no balls used to advance the batter, there were only strikes. Therefore, if a pitcher (also called a bowler then) continuously threw outside of the strike zone, the batter would have to wait it out until the pitcher got his act together. I was told that women even played co-ed base ball until they had their own teams in 1866 and eventually a league of their own (pun intended). I was both impressed and shocked by this. I didn’t think women would have been allowed to participate in sports back then, so I definitely had my perspective changed. Plenty of women play in the vintage leagues and there are even several women’s vintage teams. 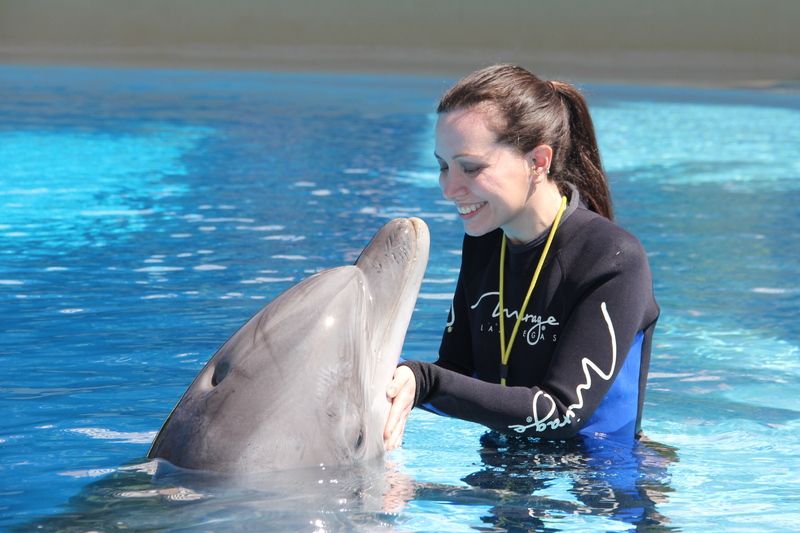 The entire experience was pretty unique. There was even period music being played. 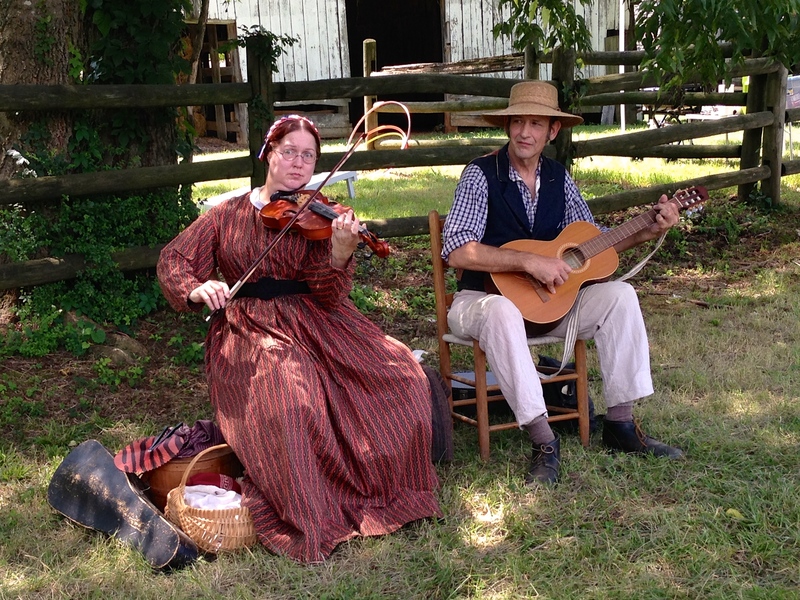 The Travellin’ Caudells provided lively entertainment between innings and performed music from the 1700s and 1800s. I was really surprised just now many people turned out for the game. 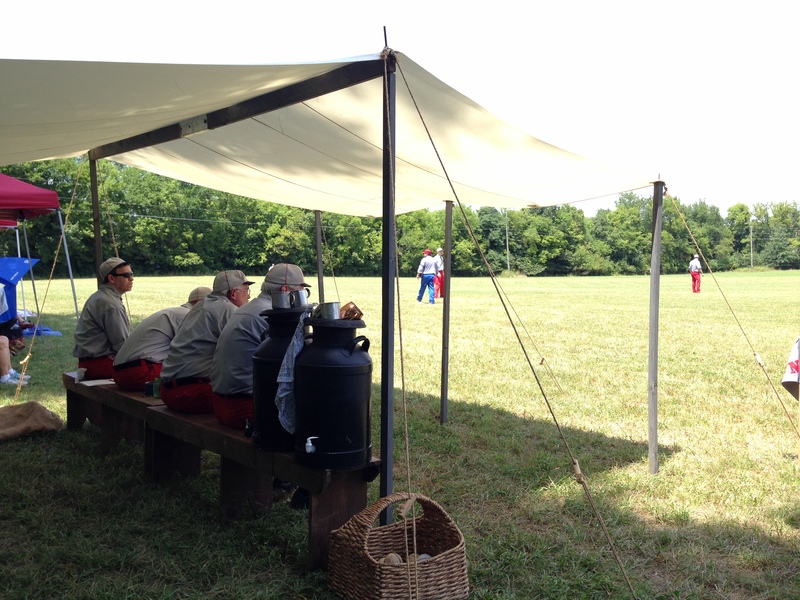 Since I had never heard of vintage base ball, I mistakenly assumed that only a few people would attend. I was definitely wrong, the field was lined with spectators cheering for their favorite team or just enjoying a historic afternoon. I see why baseball became America’s pastime. We had a great afternoon of just hanging out and watching the game.